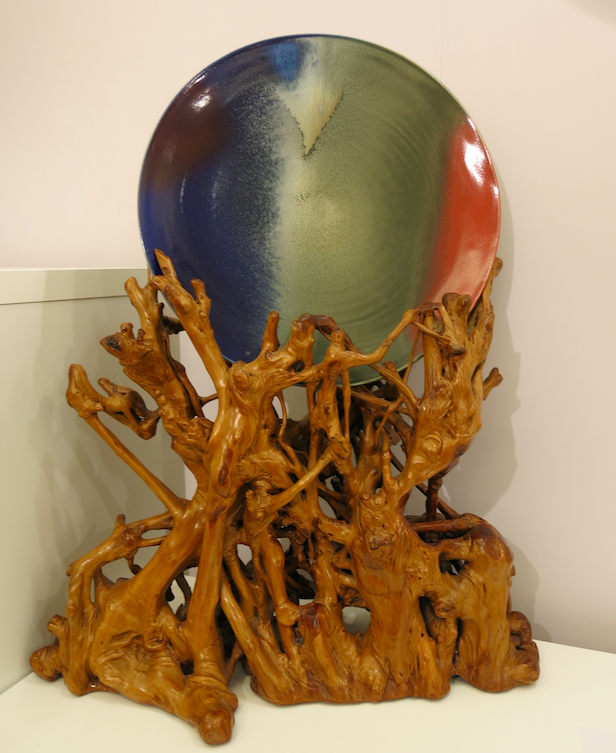 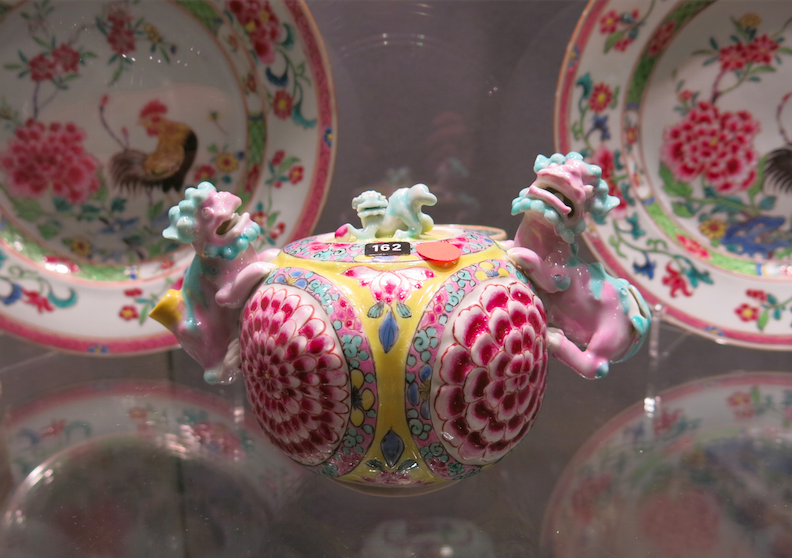 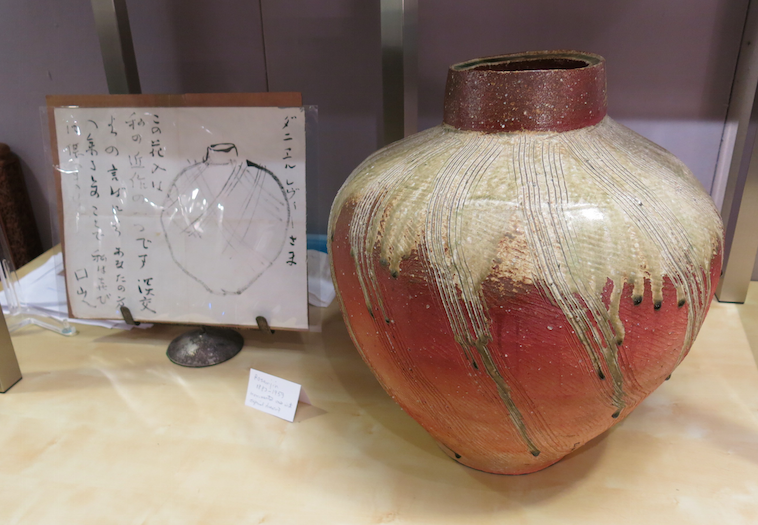 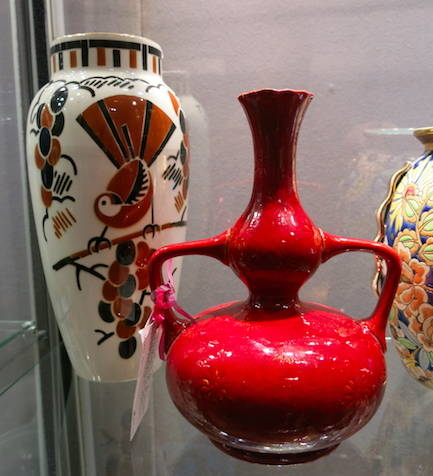 For those who love ceramics, pottery, and glass from the 17th-21st centuries, visit The New York Ceramics and Glass Fair 2015 which takes place January 21 – January 25th at the Bohemian National Hall (321 East 73rd Street, between 1st & 2nd Ave). 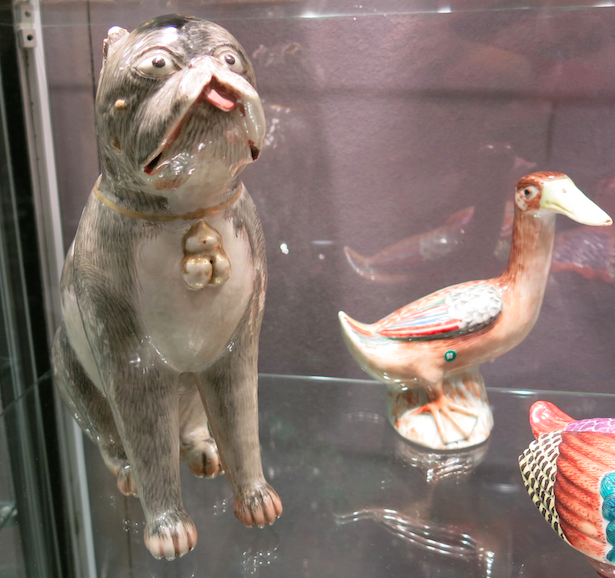 There is a huge array of beautiful pieces from the United States, England, Europe and Asia. 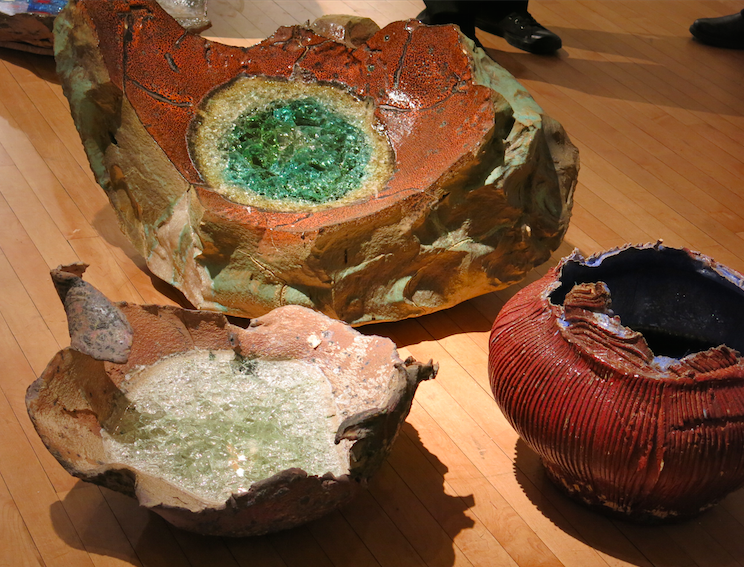 Take a look at some of my favorites below. 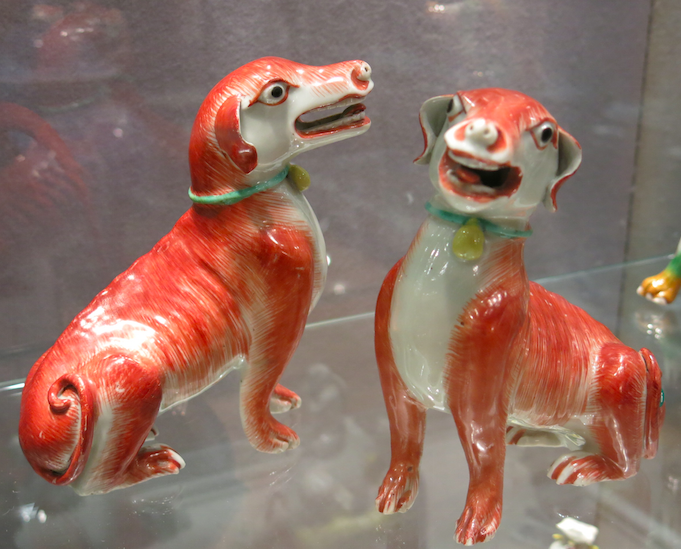 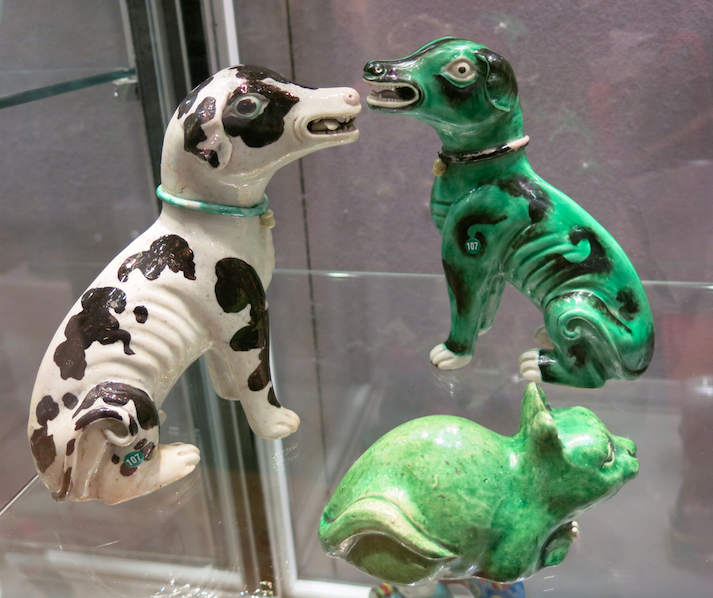 Being a dog lover, I couldn’t resist these ceramic dogs that were made in China in the 18th century, designed for the European export (Santos Gallery, London). 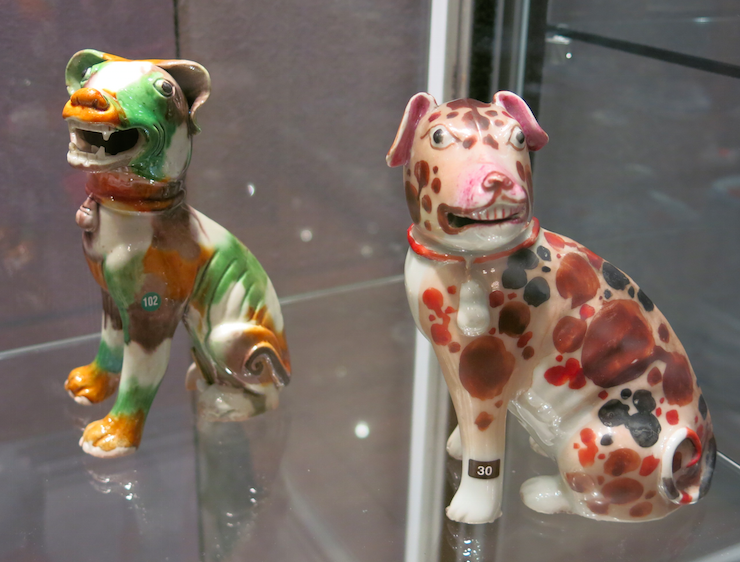 Anyone recognize what breed of dogs these are? 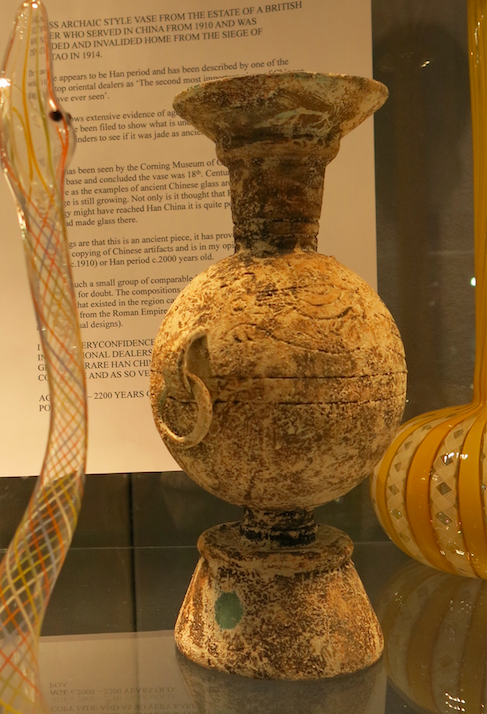 I thought the piece below was ceramic, but it turns out that it’s a glass piece found by a British soldier who served in China in the early 1900’s. 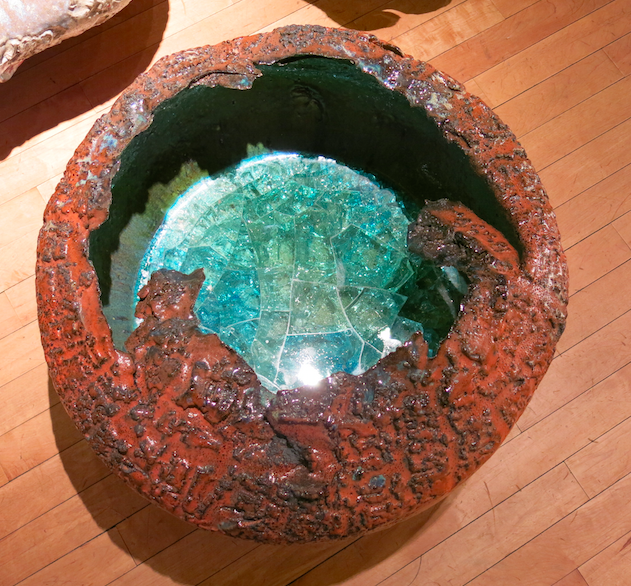 I also learned that you can not date glass, so one can only guess at the age of the piece.